Rosemount Police Chief Mitchell Scott said a 33-year-old Hastings man is currently being held in the Dakota County Jail in connection to the accident. 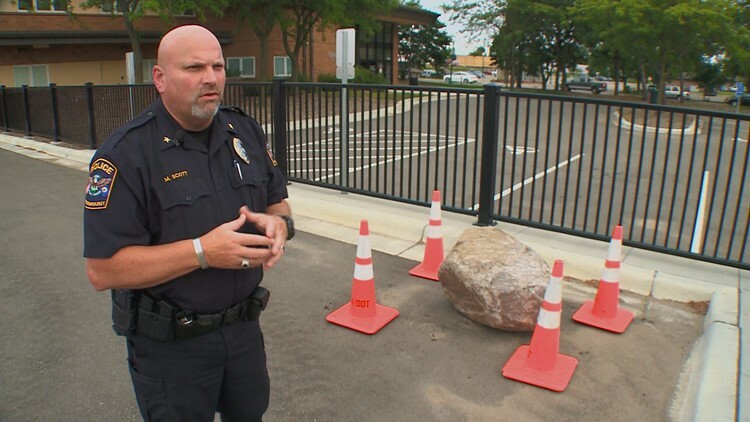 ROSEMOUNT, Minn. - Rosemount police have arrested the driver of a landscaping truck who failed to properly secure a boulder that spilled out onto a road and killed a mother and daughter. The crash happened on Monday just after 4:30 p.m. on Rich Valley Road south of 125th Street. Scott says the boulder likely dislodged from a truck as it sped southbound over a railroad crossing. The rock then bounced and rolled into oncoming traffic, colliding with a Toyota Avalon. "The boulder is approximately 800 pounds," Scott said. "It went through the vehicle. It went through the windshield and went completely through the vehicle." Police say a mother and daughter were in the Toyota and died at the scene. Karen J. Christiansen, 67, and Jena Christiansen, 32, both of Shoreview, were pronounced dead at the scene. On Wednesday, authorities were able to identify the company that owned the commercial vehicle and shortly after, identified the driver and owner. He was arrested in Inver Grove Heights but declined to give a statement to detectives. Chief Scott says witnesses heard the rock hit the road and then strike the vehicle. There are large gouges in the pavement where you can still see where the rock came to a stop, but police are still investigating why the driver of the landscaping truck didn't stop. A nearby surveillance camera captured a photo of the truck as it passed, with the boulder and several others in the back. "It wasn't until earlier (Wednesday) morning that we had another development site and they were able to say, 'Yes, I know who that company is.'" Scott said. "For me, it's kind of hard to believe that, if you lose this large of a boulder bouncing down the street, there's not that much traffic, you would hear the Boulder ... hitting the road." The investigation continues and authorities say charges are expected to be filed soon.